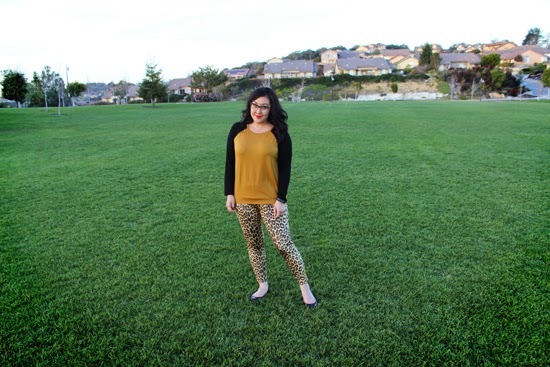 One of my life mottos is "when in doubt go with leopard print." I think leopard goes with stripes, flowers, polka dots, plain fabric, basically everything. You can dress it up for an Old Hollywood glam look or dress it down with a t-shirt. I love leopard print in case you couldn't tell ;) I think the next step in my obsession will be to have some spots tattooed on me. Not joking. Ok, ok, let's back up. According to Funki Fabrics (where this fabric is from) this is technically "panther." It's a panther velvet that I will probably continue to call leopard because I'm stubborn/delusional/annoying? Anyway, I think that Funki Fabrics markets themselves as mostly dance and swimwear, however their fabric can definitely be sewn into other garments. Speaking of which, did you see Tasha's fun dress? Funki Fabrics was kind enough to give me two yards of this leopard panther fabric and I wanted to go Tasha's route and show you that you aren't limited to sew active wear garments just because that is what is primarily made with them. Make what you want! 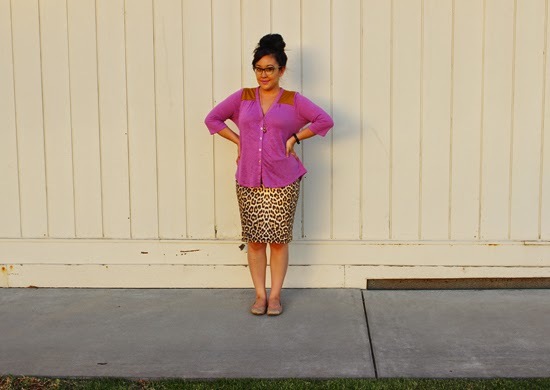 This fabric pairs perfectly with the Colette Patterns Mabel skirt. Man, when I bought that pattern I had no idea what I was in for. I think this is my fifth version of the skirt and I have plans on sewing more. Each and every time I make version three. One would think that I'd want to branch out and try a different style, but if it's not broke... right? The blouse is the Thread Theory Camas blouse. It is a pdf pattern and normally this is where I would insert some complaint or rant about why I hate pdf patterns, but this one went together fine, so I'll keep my mouth shut today. Sewing went fine too until I got to the placket. Don't mind me and my placket sewn on the wrong way :/ I realized it after grading, clipping, and and stitching down both sides and finding that I didn't have any extra fabric to redo it. To compensate for the weirdness I had to move the buttons up a bit. It looks off, but I'll probably still wear it. I'm going to make the pattern again, but try making it correctly. The fabric colors are fun though! They bring me back to the days of Myspace. Remember Myspace? I remember customizing my page into this color combo and also making my top eight into a top sixteen. So cool ;) Anyway, both fabrics come from The Fabric Store in Los Angeles. Justine showed me this pretty linen knit, something I have never seen before, let alone sewed with. The mustard is a merino knit and not itchy at all! Whenever I start a sewing project I always test my stitches on scrap fabric and this time was no exception. However, the linen knit was finicky and even though the test stitches looked fine the hem looks a little wonky. The merino knit wasn't the best for the yoke, unfortunately. It is a touch too bulky where the neckline pieces come together. The good news is that it was great for a Linden sweatshirt! Errr, sweatshirt turned t-shirt since the mustard merino is definitely not sweatshirt weight. The black sleeves are made from a cotton jersey from Mood Fabrics. I don't have much to say about Linden since I just blogged about it a couple of weeks ago, but, yep, I like this pattern. No changes were made from the original pattern pieces other than not including the sleeve cuffs. For my first version I complained about the neckline being too big, but in this version it's not at all. I'm thinking that my ribbing must have stretched out when I was attaching it to the neckline. Womp womp. I also had the exact same problem with the placket of the Camas blouse (which I haven't blogged about because, well, my dog ate it. Or at least ate big holes in it). I think I might have only basted it on but it took a while to realise that the reason it didn't fold over nicely was that I had attached the wrong side to the top! 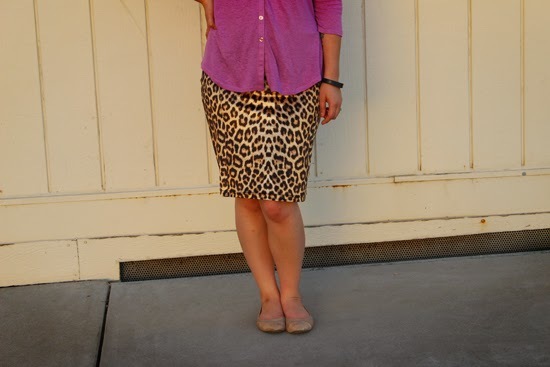 The leopard and purple go together so well, I've got to copy this combo! These are all fantastic makes! I love the colour of your pink Camas with the leopard print what a great combo. I am starting to see a theme with the Camas blouse which is that the placket is really tricky. I wouldn't have noticed yours if you hadn't pointed it out. Your leopard leggings look awesome too! you had me at the post title. um. GIMMIE THAT SHIRT. (i realize i have no hope of stealing your wildcat wear.) that shirt looks perfection, no one would know, including, i think, sewists! i just read your last post too-- bummer. i stopped the handmade gift wagon after making 16 full length aprons one christmas, 80% of which were received poorly. though, i do still get a text now and then from friends who still wear & love them, which really means a lot. unfortunately it also reminds me of all the unloved ones! it's great to create for people who get it, though. When you don leopard print it's like the stars aligning - I can breathe a sigh of relief and know that all is right with the world because Erin can rock an animal print like it's nobodies business!! Haha! Which is my round about way of saying these looks are perfect! 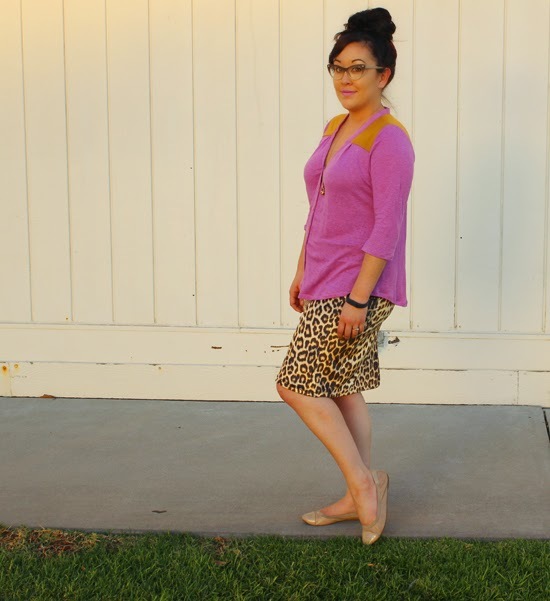 I especially love the leopard print skirt paired with the purple cardigan - such a good combo, but that yummy merino Linden is stealing my heart too! I love your leopard print motto. I feel the exact same way. Leopard print is slowly taking over my wardrobe. I love this skirt. It would look awesome with a simple white tee and sneakers or dressed up. p.s. MySpace was my first introduction to designing (and falling in love with) repeating patterns because I used to make my own page backgrounds bahah! Leopard!!!!! Yum! I wouldn't have thought to try that sort of "activewear" fabric as a pencil skirt but it makes perfect sense! Love the leggings, too!!!!! Anytime I see leopard out, I'm going to think of you! 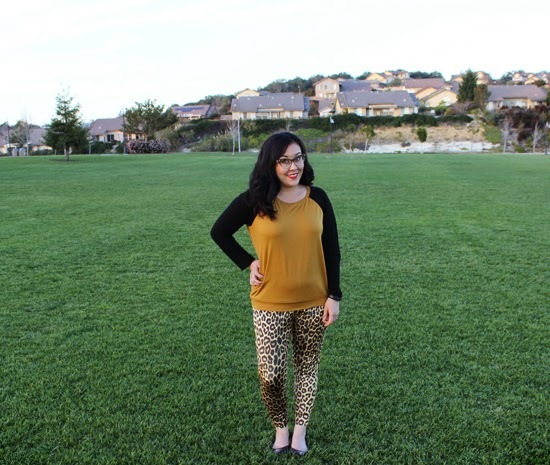 I especially love the leopard print leggings! I really love the Camas shirt and your mustard Linen. Plus, you're making me excited to keep sewing the Mabel. I've only made one and I've worn it twice, the second time being Friday. I came home from work, put my satchel down and walked across the kitchen, only to realizing something was dragging. I looked down: my skirt had slid down my legs! What the what??? Back to the jersey. When I bought the Camas I thought it was for a woven and I've been sort of staying away from it. Buttonholes in jersey. Oh save me. How did it go, generally? I'm so jealous that you can walk into the Fabric Store. They keep saying they're going to make an online website and I can't wait. Their merino jersey is heaven. Wow looking great "Tiger Girl"..............I like animal pants.